We are an independent quality fuel and lubricants distributor and retailer. port of call for your everyday fuel and lubricant needs. deliver your bulk fuel and lubricants safely when you need it. can become a customer on 03 5562 8155 or at info@matthews.net.au. We offer our customers credit accounts for the supply and delivery of fuel and lubricants. 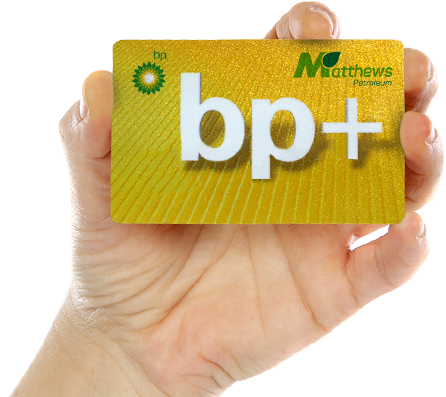 A Matthews BP fuel card can be added to your account and used at any BP service station Australia wide. © Copyright Matthews Petroleum 2017. All Rights Reserved.